And if he was right, what does this actually mean? Is he suggesting that in order to solve our problems, we need to have a closer look at what we are doing and how we are doing it, have a look at this “same level of thinking that created the problems we are trying to solve”? And if the answer is yes, then where do we start, how do we go about it and what are the tools and resources at our disposal and where do we get them? 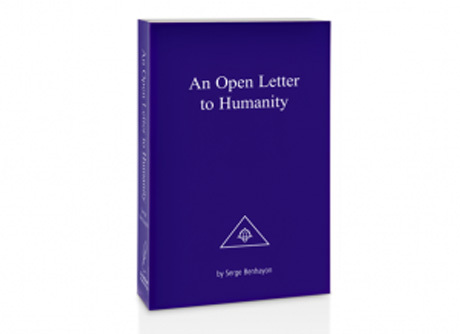 Written by complemntary healing pracitioner, philosopher and teacher Serge Benhayon, An Open Letter to Humanity answers all these questions and deals with the reasons why human life is not what it could be. It presents new possibilities and a fresh perspective – it explains in detail that there is actually a true purpose to human life and an intelligence available to us that has never left us but that we have not had the wherewithal to access. This intelligence is based on the body and our sixth sense, it is cardio-centric and developed by the way we live. An Open Letter to Humanity proposes that such intelligence is available to every human being by virtue of the fact that it already lives inside each and every one of us.